So, my mum has always told me that taking care of your skin is the extremely important especially when it comes to ageing; I was a pretty lazy person in my early teens and would constantly forget to moisturise my face (I never saw the point, I hated the stickiness of the lotion on my skin) and because of this, I was constantly being nagged at! 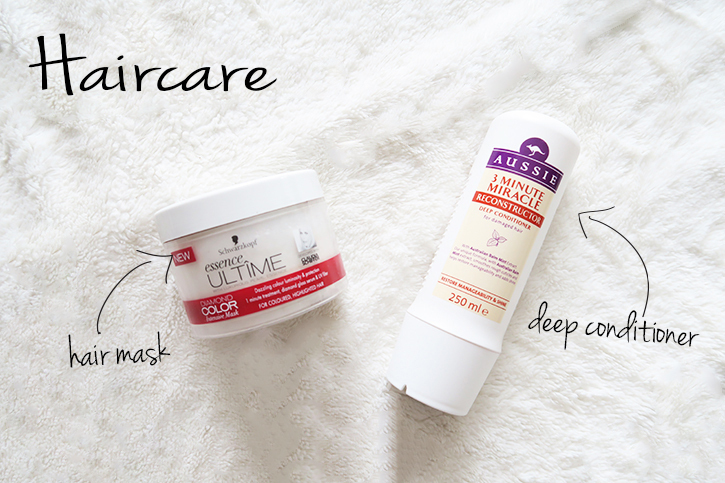 As time went on, I have gained a better understanding of the different moisturisers to use and what my skin type is like, so here I have put together a step by step guide of what I do on a little at home pamper session once a week. The first thing on the list is washing my face with my daily face wash and scrub; gently exfoliating and get rid of dead skin on my face, then I am ready to pamper my skin! So after cleaning my face and getting rid of the excess dirt (gross but true) my favourite thing to do are Pore Strips! I feel that they really do clear out my whiteheads and unclog my pores. 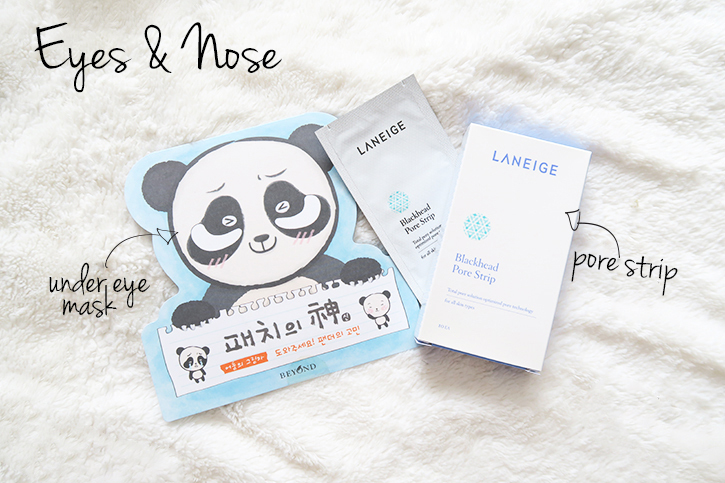 TIP TRICK for better results using pore strips; before applying, use a warm towel and put it on your nose area – the warmth will open up your pores! With this, it will be easier for the strip to get the whiteheads! (Thank you to the girl in the HK shop for telling me this) however, I have been told that using pore strips isn’t the best way to get rid of whiteheads as it can enlarge your pores, but I feel that this is the best way for me and I personally don’t have super big or a lot of pores – so it also depends on your own skin type! Whilst the pore strip settles, I also like to use under eye masks and give my dark circles some love! 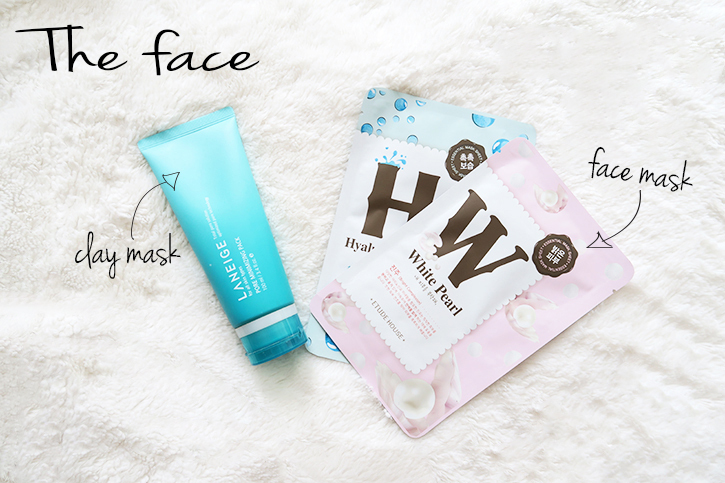 Depending on my mood, or how my skin is feeling, I tend to use two different type of masks (not in the same session obviously). So I normally do this on a Sunday night; after work, my skin is feeling a little grotty and creasy so I tend to use the clay mask as I feel it really gets in and clears out my skin a lot more and gets rid of any dirt. Whereas, the other face mask is a white moist sheet in which you apply to your skin is more hydrating, so maybe on a day where I feel the need for more moisture, I would put this on my face, wait 15-20 mins and my skin is nice and refreshed. It’s very hard to determine what kind of skin type I have. My skin is very dependent on the weather, overall I feel as though my skin is on the drier side but can tend to be a little sensitive at times too. 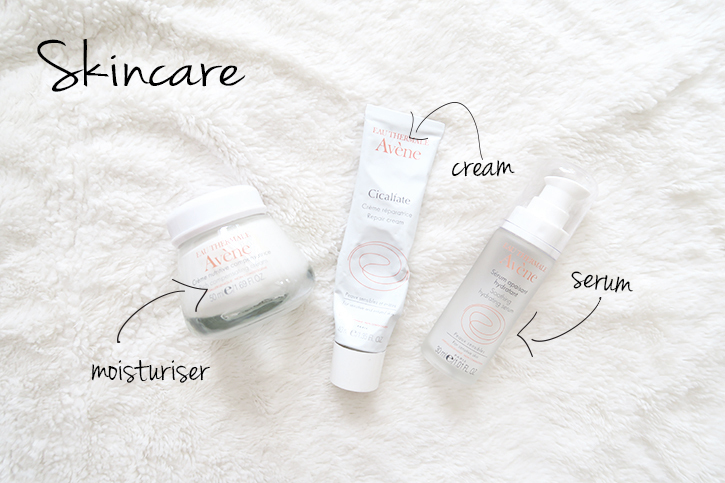 Avène has been a extremely great product for my skin! Prior to this brand I was using aloe vera gel on a daily basis and I hated the stickiness when you apply it to your face and as I am getting older, I needed a better skincare routine. I first started off using only the serum, just as a base before applying makeup and recently, I added the moisturising cream to my night time routine as it has a richer formula as well as giving my skin more hydration throughout the night. I have to say, the repair cream has been a lifesaver to me! I switched my face wash because the current one that I used ran out, with that; I had a allergic reaction therefore making the skin around my eye area dry and flakey and other areas of my skin quite lumpy (wasn’t a nice sight). I didn’t actually know I was having a skin reaction to the product because it wasn’t my first time using it. I thought my skin was just acting up..but after a while, I realised it was the face wash. I immediately started applying the repair cream on those areas on a daily basis, day and night! After a couple weeks, it managed to clear out my skin and now it’s back to normal! I would highly recommend this brand to anyone with any skin type! Okay, so maybe I don’t do this on a weekly basis, maybe once a month (or whenever I remember) but for someone who constantly dyes their hair, it is quite important to take care of your hair, especially the ends – super bad split ends are seriously not cute! For when I have more time on my hands, I use a hair mask, which you can leave in your hair for about 10-15 mins (maybe even longer) then rinse out; this will leave you with super smooth and silky hair! But for days when I am feeling lazy but need to give my hair some extra loving, I will use a deep conditioner on the ends of my hair, leave in for about 5 mins during my shower then rinse out. Let me know if there are any good skincare or haircare products you recommend or can’t live without & comment below! You've got some lovely products Louise, the hair treatments sound great – my hair really need some TLC at the moment! I have some eye and face masks my friend got me from Japan I need to get round to using, there's no english instructions though so will need to guess how long I leave them on for! Aww thanks Hanh!! I love the packaging for the eye masks (pretty much the reason why I got them,haha).